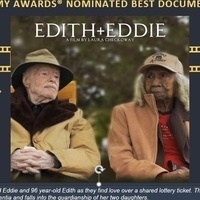 Join us June 22 for a free screening and discussion of 2018 Academy Awards Nominated Best Documentary Short, Edith + Eddie. The charming story of 95 year-old Eddie and 96 year-old Edith as they find love over a shared lottery ticket. Their lives are upended when Edith is diagnosed with mild dementia and falls into the guardianship of her two daughters.